Artwork Panel: 32.3cm x 65.8cm ≈ 12¾" x 26"
Silk/Brocade: 41.7cm x 121.6cm ≈ 16½" x 47¾"
The title of this artwork is simply "bamboo" which is written as 竹 in Chinese. You'll notice the flowing quality of this artwork. This is known as a "free-hand style" painting. It is painted rather quickly, but the style takes many years to perfect. In this case, the artist has been practicing for over 20 years and finally feels his artwork is almost ready. In addition to the title, 竹, the artist has signed this and stamped it with his authenticating red chop mark. There is also a personal stamp in the lower right, but it would take me an hour or more to translate the ancient seal script. The artist's name is Cao Bin. He lives with his wife in Beijing, China. I actually met him through his wife who runs a small house-cleaning business in Beijing. So technically, he is my mother-in-law's maid's husband. 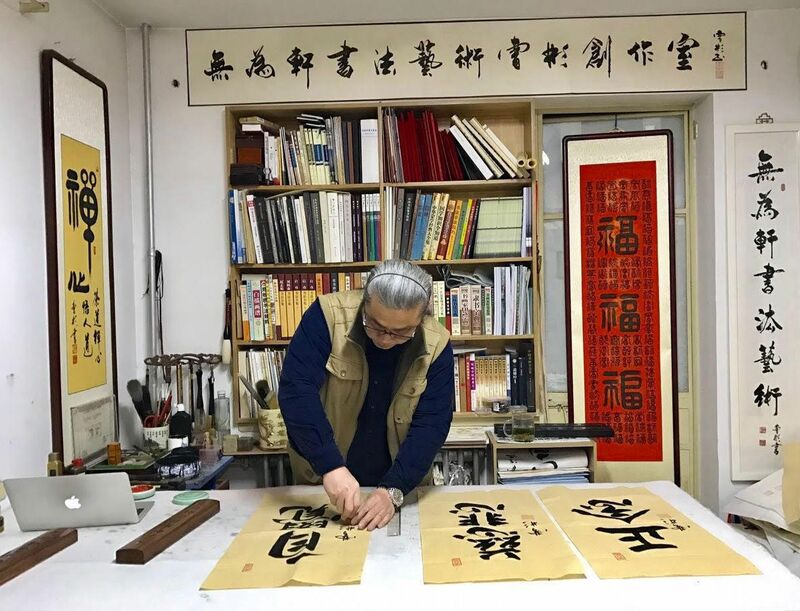 Cao Bin does mostly calligraphy, but I noticed his bamboo was also quite good. I had him do several pieces for me. He's getting to be a bit famous for his calligraphy now. There's even a book in print that features his calligraphy. 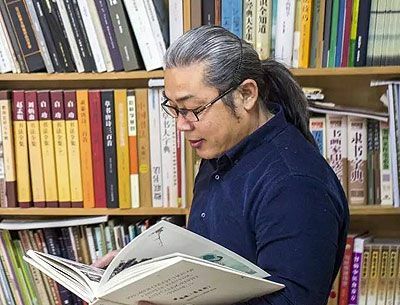 I was lucky enough to meet him just before his meteoric rise, so I have some guanxi (special relationship), and therefore I get slightly better prices than any gallery manager that approaches him now. That savings is passed on to you (a guanxi trickle down if you will). This is painted on xuan paper (often called "rice paper" though not really made from rice). 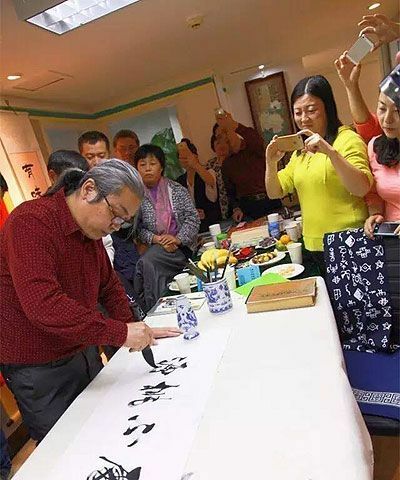 The raw artwork was then taken to my workshop in east Beijing where the master mounter built it into a handmade wall scroll.